With the phenomenal rise of mobile devices globally in the past decade, we have now entered the digital age – the agricultural age, the scientific age, the industrial age, the information age and now the digital age! This global transformation is bringing a change that is impacting our world in every way - how we interact, play, read, write, watch, study, research, work or even relax. Soon we will live in a world which is interconnected with Internet of Things (IoT). Our guest speaker is Gora DATTA, HL7 International Ambassador, a US based ICT Subject Matter Expert. He is an accomplished, visionary executive with 33 years of international professional expertise in the field of Computer & Software Engineering and its application to Healthcare, Mobile Health, CyberSecurity in Healthcare, eLearning & Social Protection. His global professional experience spans many countries - Australia, Bangladesh, Canada, France, Greece, India, Indonesia, Japan, Kuwait, New Zealand, Niger, Norway, Philippines, Singapore, South Korea, Spain, Switzerland, Tunisia, UK, and USA. 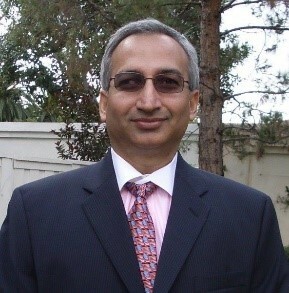 As an US “Electronic Health Record (EHR)” Subject Matter Expert (http://www.hitechanswers.net/hl7-standards-meaningful-us/) and ICT Expert on eHealth, Public Health & Social Protection/Safety Net Programs Gora provides consultancy to & collaborates with multiple US governmental organizations; Governments of Bangladesh, India, Indonesia, Niger, Philippines, USA and multi-lateral agencies (like World Bank, ADB, WHO, UNICEF). Healthcare access & delivery is going through a seismic change…rapidly moving from paper to digital health. Health information technology (Health IT) is making it possible for health care providers to better manage patient care through secure use and sharing of health information. However, recent news headings (of WannaCry ransomware attacks in May 2017) are amply demonstrating the wake-up call….cybersecurity is redefining this changing world of digital health. In this talk, we will review the digital health transformation that we are undergoing, the challenges of cyber-health that faces us and the emerging Mobile Health standards and other related standards that are foundational to the 21st century world Healthcare [comprising of Blockchain, AR/VR/MR, Precision Medicine, Predictive Analytics, Machine Learning, Cloud Computing and Healthcare of Things (HoT)].